Supreme Court decisions are supposed to clarify the law. Burwell v. Hobby Lobby did not. Instead, the decision’s muddled reasoning will become a public administrator’s nightmare, making it difficult to implement not just the Affordable Care Act (ACA) but also perhaps thousands of other state and federal laws. Hobby Lobby tested the constitutionality of a requirement of the ACA that employer health care insurance include coverage for contraception. Owners of a corporation named Hobby Lobby contended that such a mandate violated their free exercise rights protected under both the First Amendment and the Religious Freedom Restoration Act (RFRA). In agreeing with the owners, the Supreme Court in a 5-4 decision made several leaps of logic. First, the majority opinion looked to the text of RFRA. The law states that, “Government shall not substantially burden a person’s exercise of religion even if the burden results from a rule of general applicability.” The first question was whether the law’s reference to “person” also included corporations. The Court said yes. Second, the Court argued that creating a religious exemption under RFRA for a corporation had already occurred under the ACA when Congress exempted religious nonprofits from the contraception mandate. Given there was no indication that Congress meant to exclude corporations from RFRA protection and that nonprofits were exempt from the insurance mandate, this was enough for five Justices to rule in favor of Hobby Lobby. In theory, the decision should have resolved legal uncertainty. However, the reasoning leaves open more questions than it answers. While the majority sought to assure the dissent and the public that the decision was narrowly confined to contraception, that is far from the case. Nothing in the decision really limits the holding to birth control only. What if therwasre a Jehovah Witness employer who objected to insurance coverage for blood transfusions? Nothing in the decision prevents this from being a possible religious objection. Moreover, what the decision also ignores is that birth control and contraception are also a health issue for women. 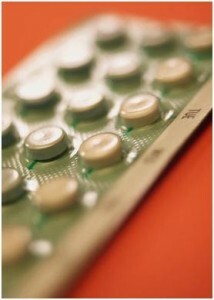 What if a woman is prescribed a drug for health reasons, other than contraception, but it still has that use? Does a corporation get to stick its nose into a doctor-patient relationship to determine why the drug is being used? Another problem with the decision is that by its reading of RFRA, all types of business entities are entitled to protection. The Court in Hobby Lobby asserted that it knew of no reason why a publicly traded corporation would want to claim a religious exemption. However, by the logic of the decision nothing prevents that from occurring. Why should the religious exemption stop with contraception and health care coverage under the ACA? Why not use RFRA as a way to challenge other laws, such as civil rights protections? Arizona enacted, but the governor vetoed, a law that would have given businesses a religious right to refuse to serve gays, lesbians and transgender individuals. After Hobby Lobby look to see more laws like this pop up. Yes, these laws will pit RFRA and the First Amendment against civil rights laws and the Equal Protection clause. It is not certain how the Courts will reconcile the two after this case. Look to see companies seek religious exemptions from equal employment laws or property owners seek religious exemptions from fair housing laws. But why stop with these laws? Perhaps down the line there are even ways to claim religious objections from a host of other regulations. None of this is impossible given the logic of the decision. Hobby Lobby creates a mess for public administrators. They will now have to look for possible religious objections to a host of regulations they implement. Some assertions will be valid, some frivolous. Sorting them out will force the government to have to make decisions regarding genuine religious concerns, thereby forcing public officials to make decisions about orthodoxy and genuineness of faith. Creating religious exemptions and making these decisions create a new problem—potential enshrining of religious belief in the law—that may amount to an establishment of religion and a violation of the First Amendment. The Hobby Lobby decision is dragging the Court and public administrators into an excessive entanglement of church and state. Beyond the issue that ruling against Hobby Lobby would have furthered the cause of women’s health and rights, a decision ruling that corporations are not entitled to religious exemptions would have been a clear and easy rule to administer. Instead, the reasoning has created more problems that raise more questions that will hobble public administration for years to come.